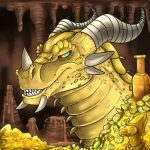 Here’s an opinion piece in reply to TGQ’s idea that the wowtoken was taking gold OUT of wow economy. The Gold Queen is Wrong and This is Why! 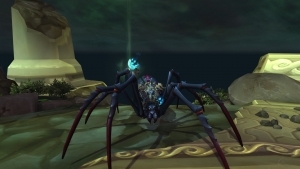 First, we have to talk a little bit about why the WOWtoken isn’t disappearing. For every WOWtoken that is available, there must be someone purchasing it with real money/blizzard balance. This is a key point in the economy between Blizzard and the wow economic system. If no-one ever purchased another WOWtoken with gold from inside the game then there would still be WOWtokens ‘stockpiling’ up for purchase. Obviously, there are still players who will purchase WOWtokens with their in-game gold stash. And they will use these accordingly either by purchasing time inside the game (30 days) or converting this to Blizzard Balance ($15 dollars U.S.). This does not mean that the token is removed from the game. It is converted into either the Gold for the player or the Blizzard Balance for the player. The key to this entire idea is that you have to have one partner in the trade to get the other. If there is a massive buy of the tokens (as what occurred with the availability of the purchase of Destiny 2) there ended up times that the coins were not available. 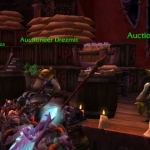 They were ‘sold out’ until someone spent actual money to start the exchange ($ to Gold) which created the WOWToken for purchase inside the game. Now, in my opinion, this is what The Gold Queen meant to say. Here is why this is occurring. As World of Warcraft continues through its expansions. The COAL (Cost of Azeroth Living) has increased over the years. Simple things such as armor repairs have increased from a small amount of gold to 100’s of gold per repair. – Specific quests to obtain gold (Rogue pickpocketing mission). 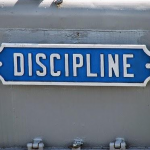 These things and more effective to inject more gold into the system. If you look at this as a real-world system you would see that it is similar to a Government printing it’s own money. The more money that is put out in circulation, the higher your basic living items will be. There is a mechanism that is built into the WOWtoken system that only allows it to adjust up to 3% higher or 3% lower in a single hour period. This gives a certain amount of protection from Inflation/deflation going overboard. Still, even with a 3% range, you can have a large swing over a 24 hour period. Never to probably return to its low-end cost. Did you know that on the opening day of Battle For Azeroth you could have your own Brutosaurus mount? It would only cost you 5,000,000g. But if you don’t have 5,000,000g then you could always buy Wowtokens? Most players will never be able to afford this mount. (I”m trying to show you how you can afford it but it does take time). 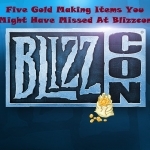 Gold sinks are mostly accepted to be Blizzard wanting to remove a high amount of gold from the game. It also gave high-end gold makers something they could purchase as a status symbol. This also gave another reason why players with extra cash could purchase the mount using real money. 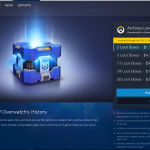 This isn’t new since many games like Blizzards own Overwatch and even the New Activision added Call of Duty 4 allow players to purchase loot boxes and even skins and decorations for their characters. These generate a huge amount of money for the parent companies. So as more and more real-world money is pumped into the WOW economic system for tokens, along with more gold sinks added into the game. Anytime a demand is increased, then that will affect the market. The more gold that is needed/demanded inside the WOWeconomy, players will turn to purchasing of WOWtokens. This means you either need a corresponding purchase of the WOWtokens on the other side (via gold in the game for game time or Blizzard Balance). When a player purchases a WOW token with real money to obtain gold, they are creating that gold from nothingness. There is not a huge pile of gold that exists that is being pulled from for the gold added to the game. It is created from the ether. This is the influx of gold that occurs when a WOWtoken is purchased for sale on the AH. of that money. Unless the money is removed from the system through natural means (governments will allow money to run its course and not replace. Or ‘buy back’ money to strengthen its currency). This is exactly the same idea of why Gold Sinks are used. Gold Sinks permanently remove gold from the system by offering an item that cannot be traded or resold back (yes, You can resell Bind on Pickup items but they are usually at a reduced amount). Even the ‘AH cut’ from a purchased item that the seller received is removed from the game. 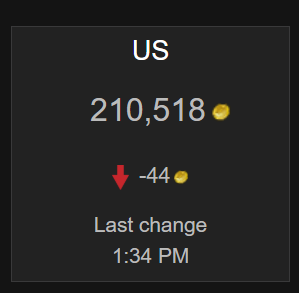 The ‘removing’ of gold from the WOW economy stream usually has a small effect on players. They will grumble about a 300g repair bill but still pay it. It’s the cost of playing World of Warcraft. I was speaking with a friend who had just started playing Warcraft again. She was bemoaning just how much it cost to fly from one point to another. To her, 20 silver spent here and there were adding up as she had very little gold to start. I shared with her that ultimately those 20s costs wouldn’t even be in her thoughts. About a week later she was playing in Burning Crusade content which had quests in the 5-10g per turn in that 20s seemed like nothing to her. Now today, do we even pay attention to how much it costs to fly from one point to another? Millions of players playing a game, even if 10 percent do one flight a day that is over a million gold ‘removed’ from the game (remember, we are giving the definition of removed being not traded to another player or for a resellable/convertible good). It is probably safe to say that there is more gold added to the game through its different means than removed. With the parallel of a real-world economy and our WOW economy, you should be able to see that the value of gold decreases (inflation) as we continue on through the expansions. But this does not mean that the WowToken removes gold from the game. But it can easily decrease the value of gold as more is interjected into the game via this method. There is an important part of this that I have left out. 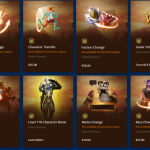 It’s how the economy is affected when the World of Warcraft WOWtoken is purchased with in-game gold and then converted to Blizzard Balance for other games. 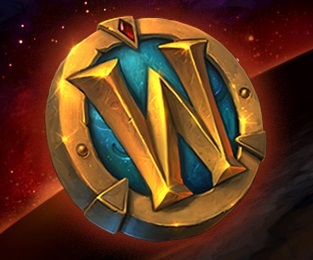 If you look at the World of Warcraft economy as its own ecosystem, and Blizzard/Battle.net games as their own economies then you can see that the buying and selling of WOWtokens is nothing more than a Trade of goods and service. This ends can easily be seen as a trade balance between two countries. With World of Warcraft feeding, clothing and housing it’s own people while blizzard has 8 more children that have to feed and clothe. Players who play multiple games on the Blizzard/Activision family have dual citizenship. They enjoy the benefits of both worlds. But there is a big trade-off of this entire idea. And it comes to the heart of a future problem that might occur. The 8 game ‘children’ of Blizzard/Activision do nothing but take from the economy. None of the 8 other games of Blizzard/Activision that offer its playtime or items on the Blizzard have a way of converting its in-game money and inject it in WOW. Currently, as it is setup, anything that is bought or sold or ‘won’ inside each of these games is only spendable within the game itself. It also takes from the Blizzard Economy by being able to purchase items and loot boxes via the Blizzard Balance. Only World of Warcraft does both importing and exporting its goods (in-game gold) into the Blizzard system. This can easily cause an imbalance. COD 4 is easily going to be one of the most popular games that Blizzard/Activision will offer. Destiny 2 and it’s introduction caused a burst in the WOWtoken when it was introduced to be able to be purchased on September 8th, 2017. Through the rest of that year token prices raised from the low of 149,663g to a high of 241,998. the cost did end up settling down to 168,000. But it never reached the low of that year. The rise in WOWtoken prices cannot be directly correlated to the introduction of Destiny 2. There were different sales of digital games and services during that year including a new pet introduced to support a charity and a half-price sale on World of Warcraft digital items. All of these events had its own effect on the WOWtoken prices. But the important thing to look at this is that even during the recovery of the market, it never reached the level that it started out with. The market corrected but it corrected into the middle. That’s an important factor when talking about the raising of the WOWtoken prices. The higher that a WOWtoken gets, the more tempting it will be to purchase with real money. Adding more gold into the system and then ending up devaluing your current gold stash. We have talked a lot about the WOW economy. One thing that was left out was inventory. Not just inventory you would use now, but also what might be used in the future. Many times during an expansion there might be a run on materials that are not useful at that point. Especially at the end of an expansion, players start to clear out their banks to set themselves up for their next crafting expansion plans. 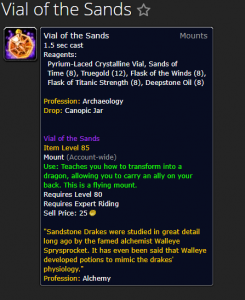 As we go farther away from expansions, high valued items such as Truegold usually end up raising in price. Fewer and fewer people go back to old world expansions to farm items. Raising the value of items that are already in your inventory. This allows you to raise the value you offer to your own personal wealth by keeping the value of the item instead of sinking it into liquid gold. Multiple members of the twitter-verse users gave an excellent suggestion on how to combat this problem with Gold becoming devalued as we continue into the game. Why not use the system as it’s set up to create a portfolio of items. Similar to how a person or a business would have different investments in different places. has this exact same thing. This would protect the player from the ravages of time and inflation that is a natural part of playing World of Warcraft for a long time. you’re gold is working for you. the system through the regular means available, that devalues the gold that is sitting on your toon. It may be a little, or it may be a lot. But it does continue to stagnate as the game continues. As Gold makers, we should be looking how to expand our abilities within both the World of Warcraft economy and the Blizzard Economy to give us as much bang for our buck. The Gold Queen Was Not Completely Wrong. That’s a lot of words to give you a better idea of why her Majesty was mistaken by saying that Gold was leaving the WOW ecosystem. The value of Gold is changing due to inflation. As we continue from expansion and expansion the purchasing power of gold generally becomes less and less. This is why it’s important to be diversified in how you approach your gold making operations. Whether you are a just starting player or someone who has played for years. How you handle your in-game gold and convert it to its different products is just as important as how you make your gold with your crafters, your questing, and your daily routine. Make good decisions, be prepared and always make sure your gold is working for you. The Gold Dragon is part of The Gold Queen’s royal court. He began making gold his way in Azeroth 8+ years ago. Soon he took his menagerie of crafters and gatherers all the way to the legion HQ and beyond. I’ve always believed in helping people if they ask and showing people that you do not have to be a Goblin Engineer to make gold in World of Warcraft. Many of the lessons I’ve learned in obtaining gold in WoW I’ve also adapted to my personal life. I have gained and spent over 8 million gold. Spending on personal items and helping my guildmates. Dancing on Azerothian mailboxes for gold tips is just a hobby. I believe that everyone can make gold if they want to! I do not think that this is true, on buying a wow token with money, you don’t get any gold until you list the token on the AH and someone buys it. The only time the game will create gold from nothing is if the price of the token in gold drops between you buying the token and another player buying it and then it will only create the difference of the gold price at the time of purchase and the current gold price with the rest of the gold coming from the player buying the token. As blizzard has stated the gold price of a token is fixed at the time of purchase, so i’m assuming that if the gold price for a token rises that the difference between the price at time of purchase and the amount of gold a player buys the token for is removed from the game. With the amount that the gold price for tokens varies I’m sure that the Net amount of gold created from nothing is very small in the overall scheme of the WOW gold economy. or down or even be resold back to the AH for more gold. Locks the inflation/deflation per hour of being 3%. From doing quests, doing their legion hall quests as well as other means. If I was to hand most players 250k g they would not just look at it as ‘minimal’. Thanks for the comment. It is appreciated.